Kyaw Swar Win came to study at AICAT in 2004, from Naypyitaw, Myanmar’s modern-day capital city. There, he was already working for the Department of Agricultural Research before coming to Israel but wanted to broaden his knowledge of modern farming techniques. 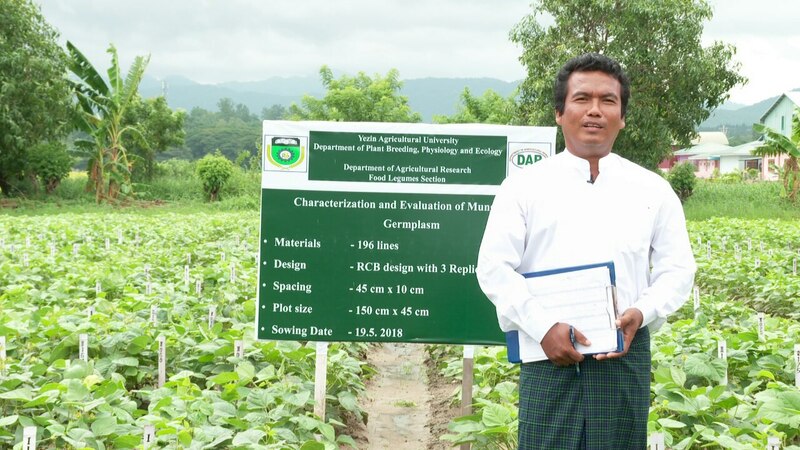 After graduating from the AICAT program, he returned to Myanmar and continued to work Myanmar's Department of Agriculture and Research. Fifteen years later, Kyaw is still working there and uses his expertise as a Mungbean farmer to assist in its program to research and improve this nutrient-rich crop. With short crop duration, low input requirements and high demand on the global market, Mungbean is an ideal rotation crop for small farms in Myanmar. 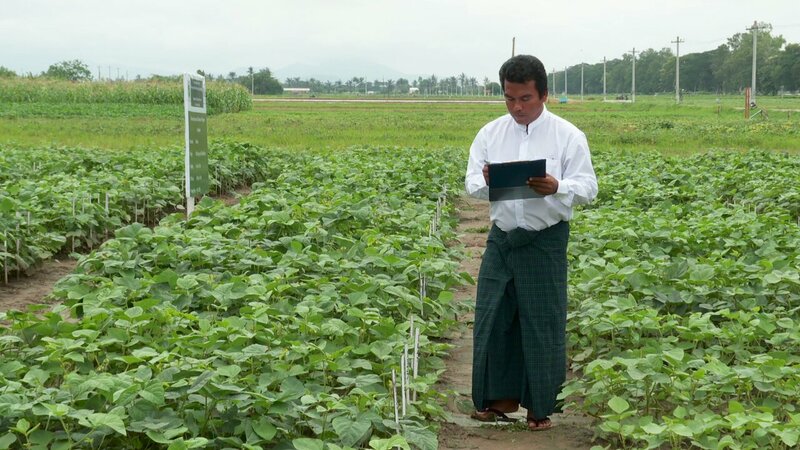 Research, such as Kyaw’s will improve the current mungbean varieties that at the moment lack traits to cope with pests, diseases and seasonal variability. His research also leads him to cooperate and work together with the Australian Centre for International Agricultural Research, as well as the Korea Rural Community Cooperation. He also works together with the International Mungbean Improvement Network Project - which helps with the development of Mungbean farming in rural areas. Kyaw says that being involved in the AICAT program opened his eyes to a different way of farming. The knowledge he gained in the importance of quality products production, in the field management system and post-harvest technology was critical to his view of the further of farming. He still remembers how the work ethic of the Arava farmers impressed him, and he uses it as inspiration in his work! Kyaw says “ The experience and knowledge that I received at AICAT motivates me in my career. When I visit the local farmers, I always suggest and discuss how they can improve their business by sharing with them the knowledge and experience I received from AICAT! I see many farmers are now accepting and using the Israeli technology that makes it a world leader in modern farming. AICAT is proud to know that students take the knowledge they learnt here and use it successfully in their local environments and with their local crops. 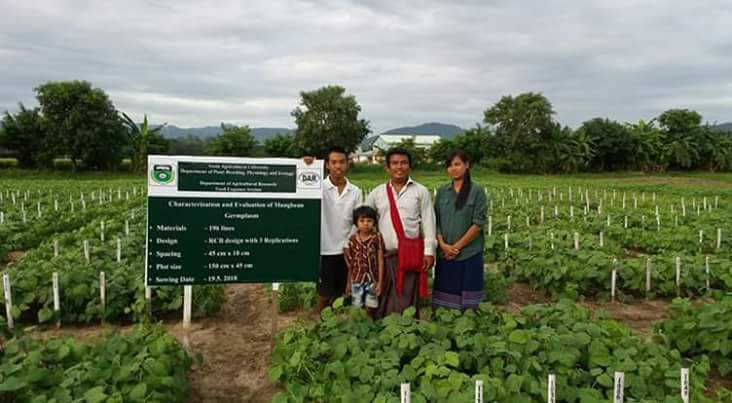 It doesn't really matter if it's used to grow watermelons or Mung beans - the knowledge gained at AICAT works - as we can see from Kyaw Swar Win achievements! Here are some photos of him busy at work!